1. 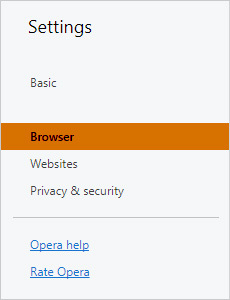 With Opera open, go to the Settings menu. 2. 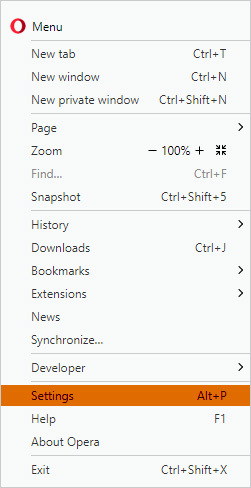 Under the Settings menu, click the "Browser" menu. 3. Scroll down until you see the "Search" area. Click "Manage search engines... "
4. You should now see all the available search engines. Underneath these (under "Other search engines"), click "Add new search." 6. 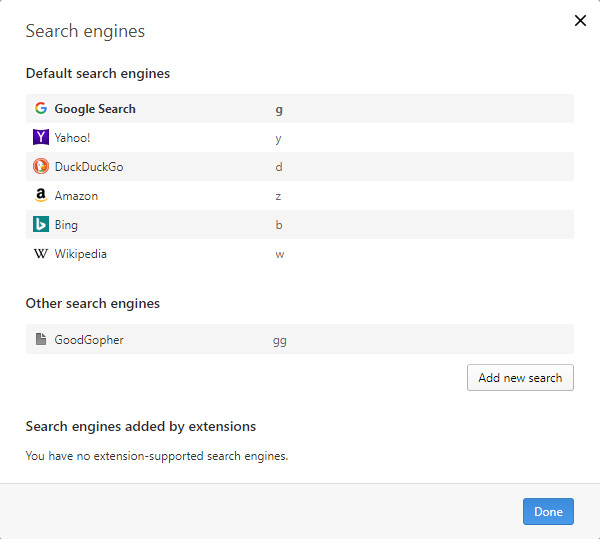 GoodGopher should now be listed under "Other search engines." Click the "Done" button when finished. 7. To search using Good Gopher, you'll need to enable using the address bar as a search box. 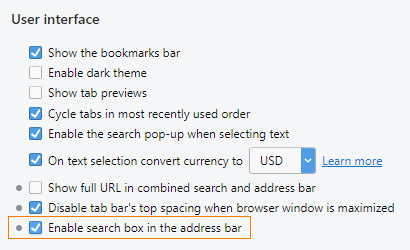 While still under the Settings/Browser menu, scroll down to the "User interface" area and make sure the "Enable search box in the address bar" is checked. 8. 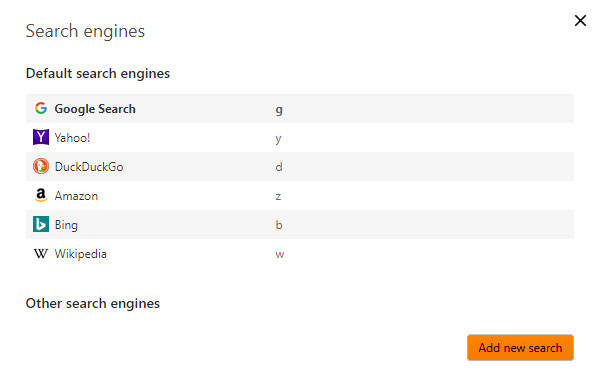 Now when searching using the Opera address bar, type "gg" followed by a space, then the term or phrase you are search for. Typing "gg" first will tell Opera you wish to see results found on GoodGopher.com. For more information, please see Opera's official instructions.